As a born-to-be dancer, J-Hope of BTS offered some words of advice to budding K-pop wannabes. 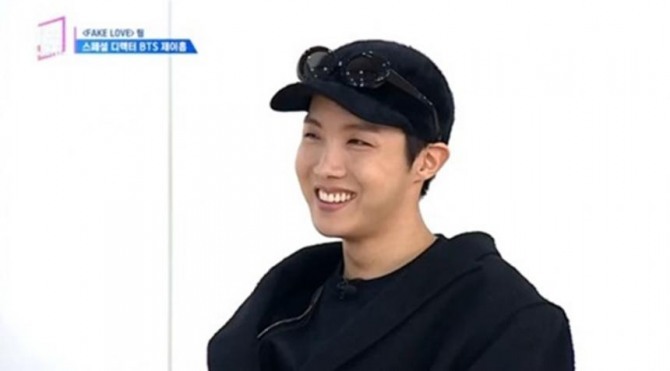 After watching the contestant’s perform, J-Hope lavished praise on them, while keenly pointing out the details of the moves and giving extra compliments to a trainee who covered J-Hope’s part in the choreography. He also didn’t forget to share his hands-on experience as a K-pop idol. “It is important to practice and monitor yourselves frequently. You need to keep checking parts you fall short in and group formations. And it’s really important to convey the sincerity of your love for this job, stage and dance. Since our job is to make people’s eyes and ears happy, it’s crucial to deliver your emotions,” he said. “Under Nineteen” is an audition program for aspiring teenage K-pop idols, who compete in different categories -- vocals, rap and performance -- to form a K-pop idol group. The program also features acts like Crush, hip-hop duo Dynamic Duo and Super Junior’s Eunhyuk as official tutors in the vocal, rap and performance sections, respectively. EXO’s Kai will reportedly make a guest appearance as a dance tutor following the BTS member. The program airs every Saturday at 6:25 p.m.